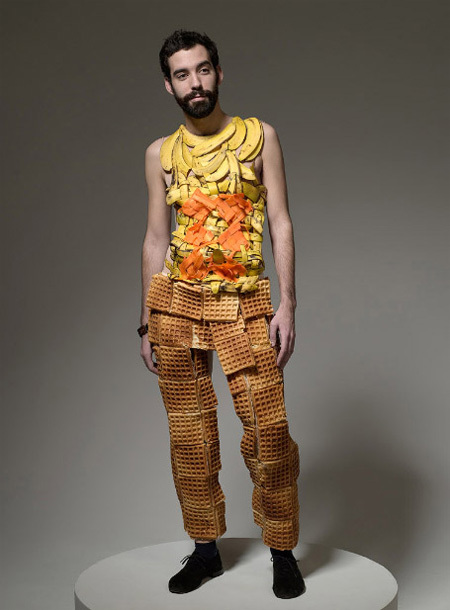 I’d like to see a huge Gummy Bear wearing a dress made entirely out of tiny models. 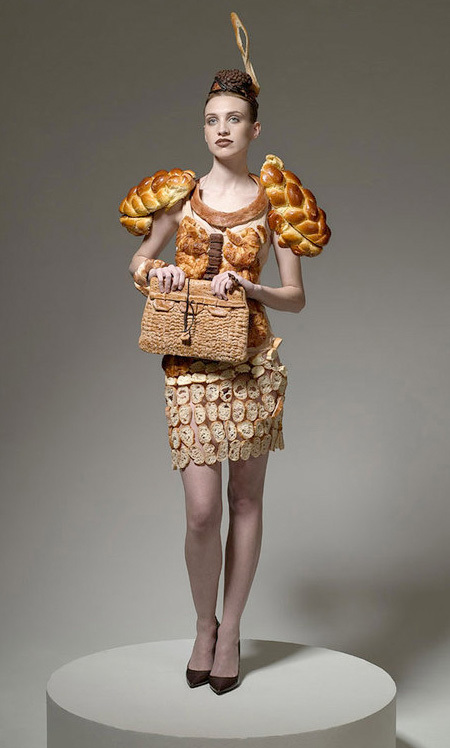 I like the bread outlfit although it looks un peau pain-ful (do you see what I did there?) to me.